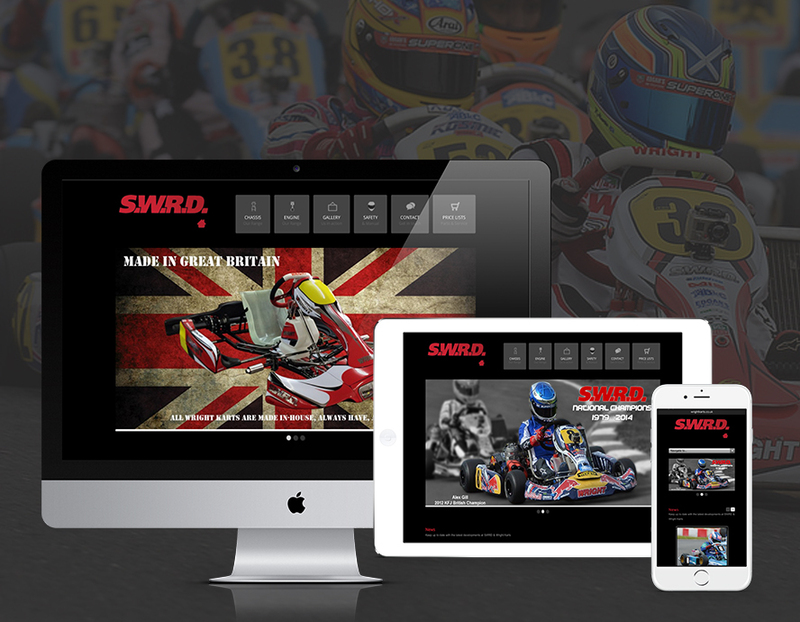 When our long term client SWRD/Wright Karts came to us looking to add an online store to their website (including to sell full karts to a chosen specification), we relished the opportunity to help them achieve something fairly unheard of in their industry. We love their company for many reasons, but one of the the main ones is this; Whilst they’ve always innovated and been at the forefront of their sport, they’ve never sat on their technical reputation and expertise alone to keep their clients happy. The difference here is that SWRD/Wright Karts is the full package for any aspiring racing driver. An end to end solution, with a personal (and family run) service, backed by a constant desire to offer something more for their clients, no matter who they are or what they order. To give you an indication of the level of detail and work involved in our client’s business, there are over 400 individual components/parts which makeup each of their ‘Wright Karts’ karts – varying based on the required specification. With the number of possible options available for each kart, the store needed to offer the end customer the ability to customise the visual and technical specification enough to be able to finalise the sale (and build requirements) online – BUT still offer a great user experience and swift/simple flow through to final purchase. By using a variety of plugins for the WordPress site, along with WooCommerce and some custom code, we were able to create a platform for the client to setup and manage their online inventory and product options for sale. Another element to the project which required careful consideration was managing the delivery options to customers based on the type, size, weight and quantity of their purchase(s). With potential sales from a single spark plug to a rolling chassis or full race kart, the automation of shipping type/costs had to be carefully planned so margins were not compromised on honouring underpriced delivery charges. After a huge amount of input and hard work from the client in setting up and managing the product catalog, the site recently launched. Initial indications were good as the client’s existing customers have already started to buy spares and consumables via the website, with no marketing campaign as yet aside from one post about the launch on their company Facebook page. With new karts due for release soon, they’re sure to have some even busier times ahead in manufacturing more championship winning karts!